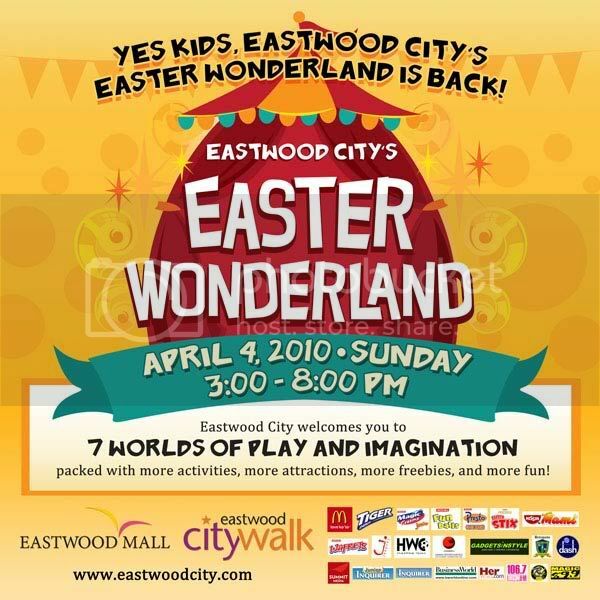 Easter's a comin' and Eastwood City Libis is celebrating it wonderland style! 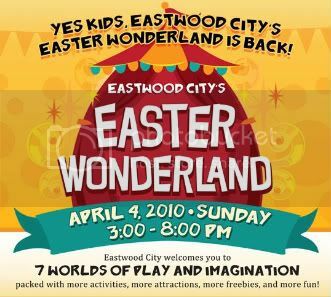 This annual event will feature lots of booths and activities for kids and adults to enjoy. There's a cosplay contest to be won here so get your costumes ready as they're going to give out prizes to the lucky winners. Although no mention of whether it's cash or merchandise but at least you'll get to enjoy the parade and make the kids happy right? 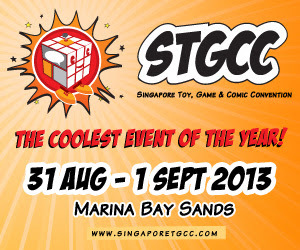 Do it for the kids geeks! More info after the jump. Here's a closer look at the poster. 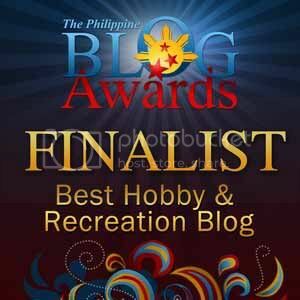 Check the source link for full contest details.